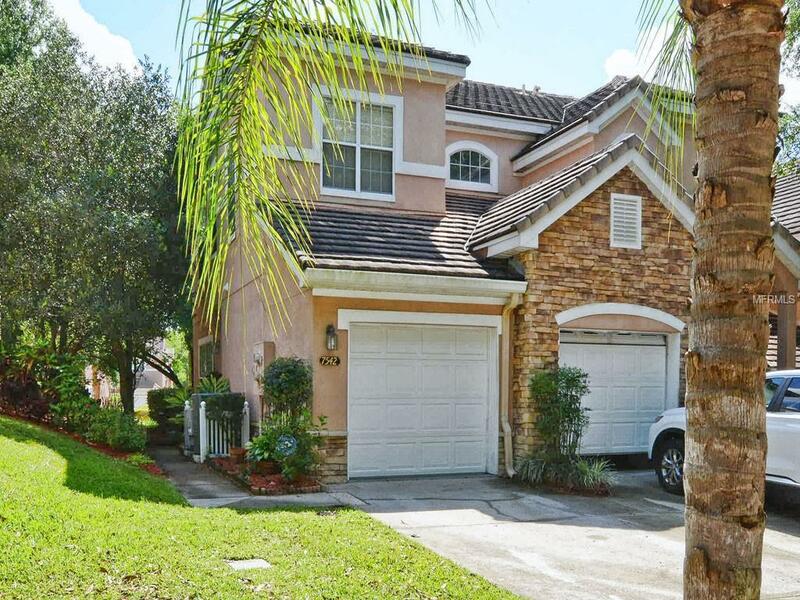 Wonderful 2 BD/2 BA single story condo with elegant finishes in desirable gated Bay Hill neighborhood. 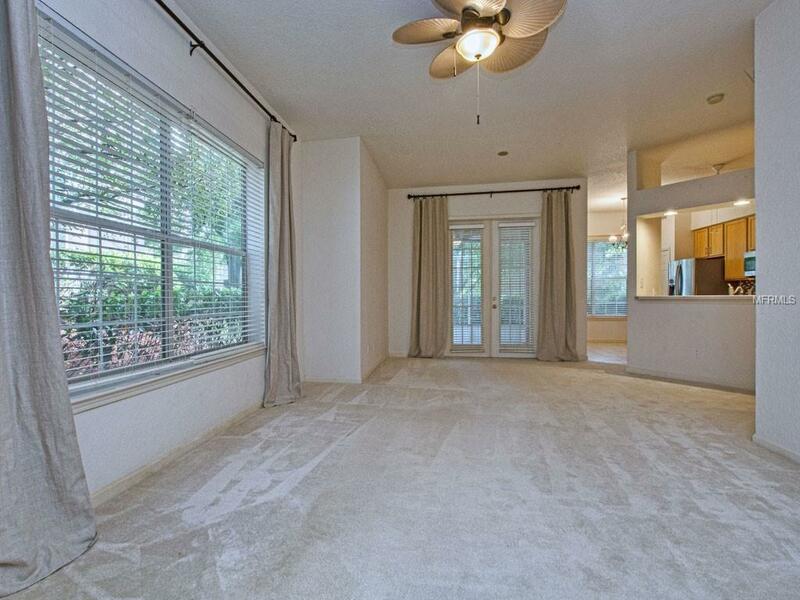 This Spacious open split bedroom floor plan is filled with light and finished in neutral colors. 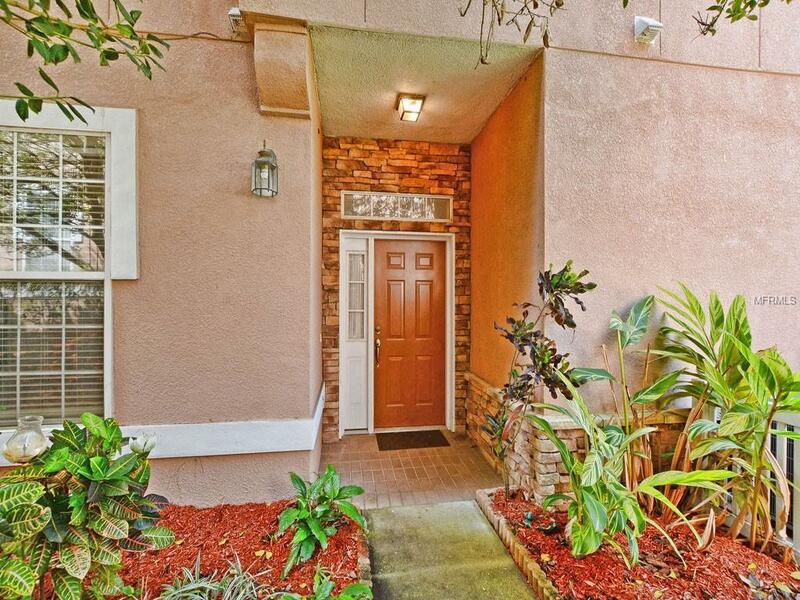 The private entrance opens to a tiled foyer with access to the garage. The large open living room connects seamlessly to the dining room which features a beautiful upgraded light fixture and French doors that open onto a private screen enclosed back porch with tile floors, canvas privacy blinds and a ceiling fan. The eat-in kitchen features a bright and spacious breakfast nook with upgraded light fixture and a second set of French doors that open to the screen enclosed porch. Additional kitchen features include: tile floors, 42 upper cabinets, closet pantry, ceiling fan, stainless steel appliances and a breakfast bar adjacent to the dining room with bar stool seating and recessed lighting. The master suite includes a large walk-in closet and a master bath with designer wallpaper, double vanities, garden tub and separate shower. The spacious second bedroom is separated from the master suite and has a large closet, ceiling fan and an adjacent full bath. 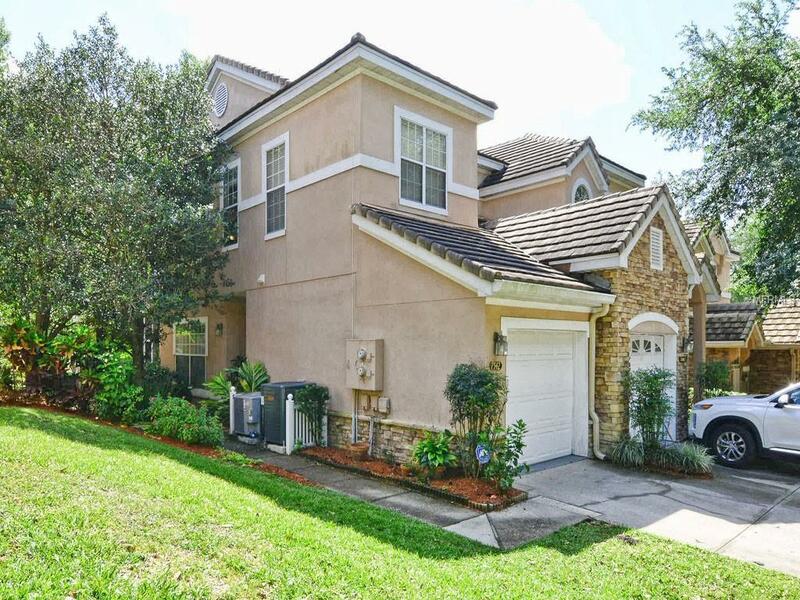 Additional features include: tile roof, exterior stone accents, 1 car attached garage, ceiling fans, custom lighting throughout, blinds with drapes and rods, washer/dryer hookups, designer wallpaper and lots of closet space. Phillips Bay is a gated community with amenities that include a clubhouse, pool, spa and fitness center.